Pensacola Sports is excited to launch this brand new event on Pensacola Beach which features a Sunrise Run, Open Water Swim, Beach Chamber Challenge Scavenger Hunt, Putt-Putt Golf Tournament, and Go Cart Racing – DeLuna’s Beach Games. The goal is to host a fun family-oriented sports festival, and provide numerous activities without having to leave the beach. The Pensacola Beach area provides perfect venues for a variety of events to be held the same weekend. 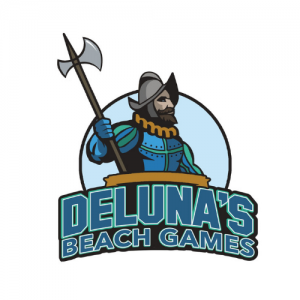 DeLuna’s Beach Games gets its name from Don Tristan de Luna, a Spanish conquistador of the 16th century who led an ill-fated expedition to the Pensacola area in 1559, credited as America’s first settlement. Pensacola is rich in history and sports. A scroll of de Luna’s was recently discovered in the sand of Pensacola Beach outlining a competition festival they were planning. Unfortunately, a hurricane changed the course of Pensacola’s history, wiping out the settlement, thus never allowing the festival to take place. Our event is an effort to continue what de Luna started. Tag your instagram photos #delunasbeachgames to see your photos on our site!